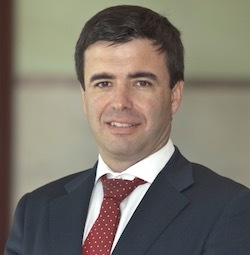 Pedro Oliveira is Associate Professor of Operations, Technology and Innovation Management at the Católica-Lisbon School of Business and Economics. He is the founder and Project Leader of Patient Innovation (patient-innovation.com), an award-winning non-profit online platform and global community dedicated to facilitating the sharing of solutions developed by individuals afflicted with a disease/health condition or by their caregivers. In about three years, over 700 innovations were submitted and “medically screened” from a community of over 50.000 users from the five continents. His recent research focus on open and user innovation and more specifically on the role of patients and caregivers in the development of solutions to help them cope with their diseases. His research has been published in leading innovation and operations journals such as Production & Operations Management (POM), Research Policy, Organizational Research Methods, Journal of Product Innovation Management, Technological Forecasting & Social Change, The New England Journal of Medicine – Catalyst, among others. Previously he was and Senior Associate Dean for Faculty and Research; Academic Director of the LisbonMBA; director of the doctoral program in Technological Change and Entrepreneurship offered in partnership with Carnegie Mellon University; International Faculty Fellow at MIT Sloan; advisor to the Ministry of Science, Technology and Higher Education and Project Leader for Creative Commons PT. Pedro received his Ph.D. in Operations, Technology and Innovation Management from The University of North Carolina at Chapel Hill, and both his M.Sc. and “licenciatura from IST (Lisbon). He also studied innovation at the Northwestern University’s Kellogg School of Management.